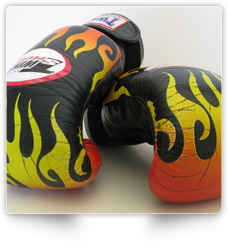 Boxing fitness training specials from hop.skip.punch! Live on Sydney’s Northern beaches and need an incentive to kick start your fitness journey? A gentle push in the right direction? Or just looking for a good fitness training bargain? Nick is passionate about everyone having the opportunity to get fit and live a healthy lifestyle. So each month he promotes a special offer to new members. As always we have a boxing fitness monthly special which changes from month to month. Then we have our ongoing referral training special which is hard to beat! Have a look at the boxing fitness training specials below. September Special – Get $20 off a 10 class pass! For the month of September we are offering $20 off 10 Class Passes for new members! Refer a friend to join our boxing fitness classes and get a month of training for free! Up to $130 worth of fitness training FREE! So if you refer one friend you get one month of boxing fitness training for FREE. If you refer two friends then you get TWO months of fitness training for FREE!! That is up to $260 worth of training just for joining up and getting two friends to join (see Nick for more details). If you want to sign up to one of our boxing fitness training specials then Contact Us or come down to the gym during one of the sessions and we’ll get it sorted. If you’re not sure what boxing fitness training is, then have a read of our class format and testimonial pages. Good luck with your fitness journey and we hope to see you at a boxing fitness class soon!